Want to find an easy way to help pay for your vacations? One of my favorite ways is with the online rewards program Swagbucks. I love earning Walmart gift cards through Swagbucks, then using them to get Disney gift cards to help pay for my Disney World trips. There are so many other ways you can use Swagbucks for vacation expenses, though, including Hotels.com gift cards, airline gift cards, PayPal gift cards, Uber gift cards, restaurant gift cards and even Disneyland tickets. However, Swagbucks can be a little overwhelming, and some of the activities can take up a lot of time without much of a reward. Who wants to deal with that? Instead, here are the top 5 ways to earn Swagbucks. These are the best ways because they are both easy and effective – the biggest earners with the least amount of work! But first – if you haven’t joined Swagbucks yet, you can join Swagbucks by signing up here. If you use this link and earn 300 SB, we both get an extra $3 bonus! One of the easiest ways to earn a large amount of Swagbucks is from buying giftcards from MyGiftCards Plus. Now, I obviously do not advise you to buy gift cards that you’ll never need. However, there is a large selection, so if you know you’ll be shopping at a certain store or going to a particular restaurant, then I strongly suggest you buy a gift card first and earn some Swagbucks in the process! Let’s say you’re planning on having dinner at Buffalo Wild Wings later in the week. If you buy a $50 Buffalo Wild Wings gift card, you get 200 Swagbucks (which is basically getting 4% cash back)! If you make a regular habit of purchasing gift cards for places where you know you’ll be spending anyway, then all these Swagbucks really do add up! The gift cards can take 1-2 business days to arrive. That being said, if you buy one in the morning, it often comes by the evening (but not something you can absolutely count on). The gift cards are e-gift cards – they arrive via email. You can just show them on your phone if you use them in person, or you can print them off if you’d like. You can also use the code to buy things online (if, for example, you’ve purchased an eBay gift card). The amount of Swagbucks you get can vary from around 2% to 7% cash back. Sometimes there are special promotions and you can get extra bonus Swagbucks on a purchase – just check the banners on the site for any promotions or sales. One more thing – these gift cards can make great birthday and Christmas presents! Now, you won’t get the physical gift card, but you can print off the gift card if you want something you can gift wrap. Well, you click on an nCrave, and then videos run. 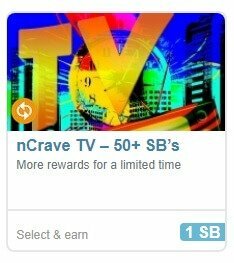 Each nCrave is a little different – some run automatically, while others you have to keep clicking to advance between videos. Here’s an example of one I was most recently running. Although it’s under the “nCrave” category, it’s actually called “nGage”. See where it says Discovery Mode and there is a green check? That means it runs automatically – it’s a passive way to earn. I don’t need to click on anything to keep it advancing. In fact, for this particular one, once you finish the last step, it automatically starts you over. That means this is the perfect way to earn Swagbucks if you’re doing chores, watching TV, or basically anything where you can multitask. How do you know which nCraves to run? Look for a little orange (or white) circle on the main nCrave page. 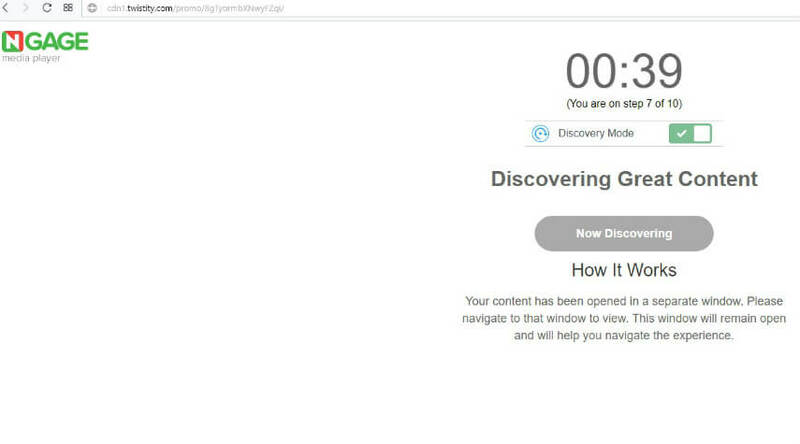 If you hover over it, you’ll get a pop up message saying it’s a Discovery Mode nCrave. TIP: Only run one playlist at a time. Running more than one at a time is considered breaking the rules (even if you have multiple windows visible at the same time). Another way to earn Swagbucks is to download some of the Swagbucks apps and watch videos through the apps. 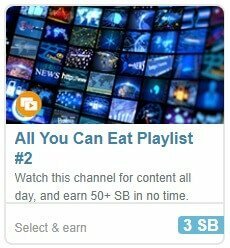 After you watch a certain number of videos, you earn 2 Swagbucks. 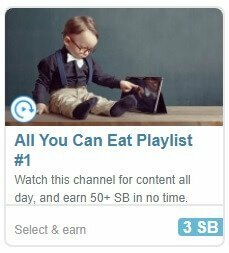 Each app does have a daily limit on how many Swagbucks you can earn (4 Swagbucks), but sometimes you can get bonus rounds and earn more Swagbucks. Basically, run one app until you get a message that says “You’ve reached today’s earning limit,” then switch to another app. If you get through all of them, start running them one by one again (unless of course you’re still getting the limit message). If you can, use an older smartphone or tablet that you don’t really use anymore. That way, you can be running one of the apps all the time. If you don’t have an unlimited data plan on your phone/tablet (or if you’re using an old phone/tablet that’s not on a plan), then turn off cellular data and use Wifi. If you’re using an old phone/tablet, turn on airplane mode to conserve the battery. Shopping online is another great way to earn lots of Swagbucks with minimal effort. Check out this blog entry explaining how to earn Swagbucks by shopping online. Just note that unlike most Swagbucks offers, you may have to wait 30-60 days or so before receiving your Swagbucks. Referring your friends is probably the number one easiest way to earn Swagbucks! However, the earning doesn’t stop there. If you refer a friend, then you get 10% of their earnings… for life! Now, there are some exclusions, but for most ways to earn Swagbucks, for everything your friend earns, you get 10% of it. These referral Swagbucks require absolutely no work from you and can really add up! I hope that these 5 simple ways to earn Swagbucks will help you make a lot of money for your next vacation (or however you want to use it!). Happy Swagging! 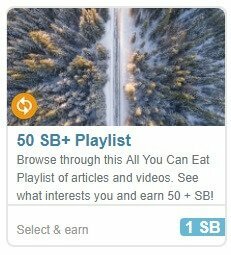 How Do I Make Money On Swagbucks?